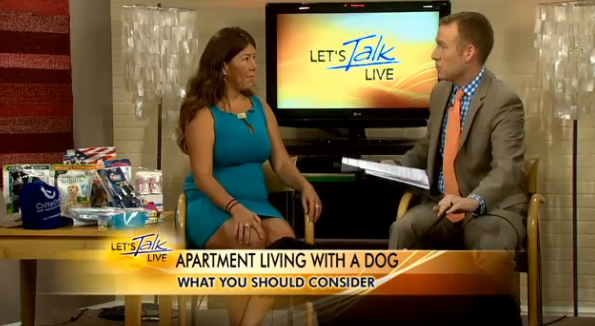 Pet Expert, Dana Humphrey, gives us a few tips on apartment living with a dog. Many pet owners live in cities where it is crowded and can only afford an apartment to make ends meet. Dana will give you advice on what to do in order for you and your pet to have a happy and healthy life in small spaces and some great money saving tips. This entry was posted in Pet Tips and tagged apartment living with your dog, Dana Humphrey, pet tips on October 3, 2014 by Belkis Cardona-Rivera.